The X-15 Skeletonized not only adds a new dimension of look, it is also an ounce lighter than our existing models. The X-15 design is the most compact and versatile 50 round magazine ever produced for the AR-15 in 5.56x45/.223 and 300 AAC Blackout full length. 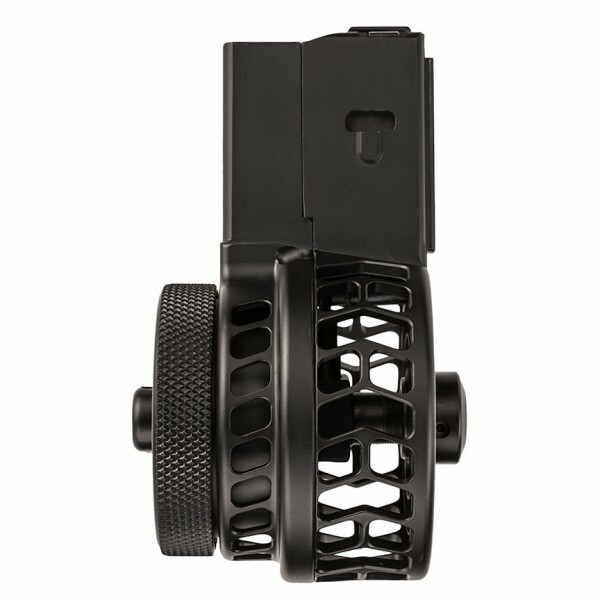 Designed and built primarily from aluminum and steel, the magazine uses minimal plastics in it's operating assembly to give it unparalleled function, and rigidity. 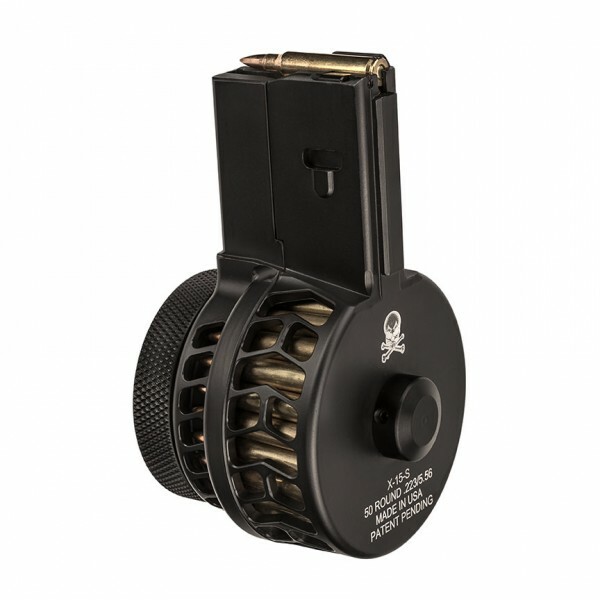 Engineered using our proven coil magazine technology, which allows side by side staging of ammo in a single stack. The streamlined design allows for no separation of ammunition during function, preventing malfunctions and lending to it's compact design. 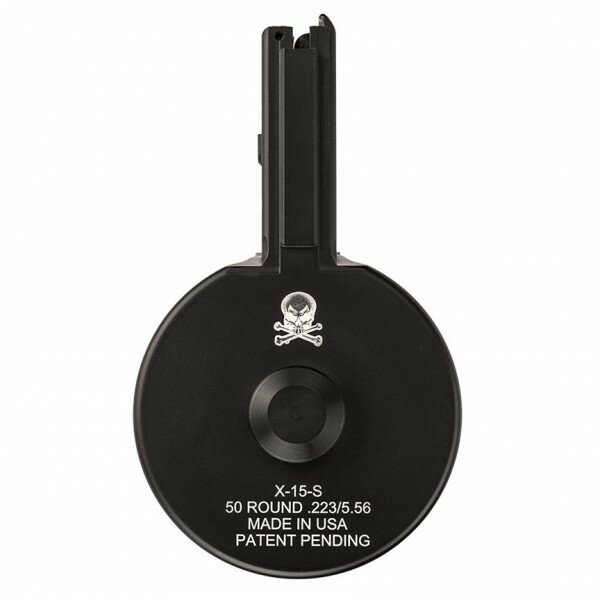 Our patent pending tension relief device allows the X-15 to operate nearly unlimited spring loads, allowing it to operate in weapons with capabilities 1100 rounds per minute. 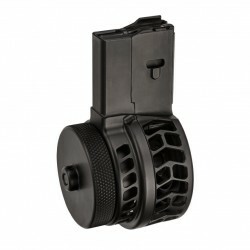 The profile is shorter than a standard 30 round magazine and 3 inches shorter than a surefire quad stack magazine. 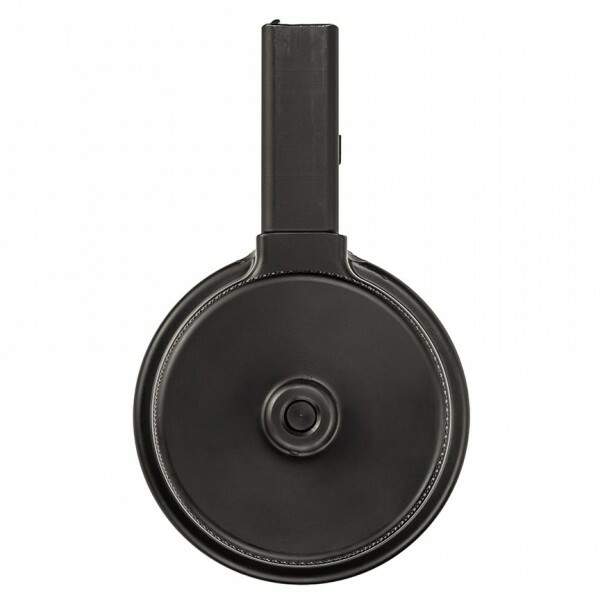 User friendly ergonomics and the ability to use your sling makes this the choice magazine for 3 gun competitors. Coated in Cerakote for friction reduction and proven reliability without using lubrication, and given a lifetime warranty. Manufactured in the USA, fit’s most M16/AR-15 rifles with improved M4 feed ramps. May require fitting in Bushmaster ACR and Robinson Arms XCR. Will not work in SCAR 16 or IMI Tavor. No tools necessary to load or operate.